This year's CRN Impact Awards winners were announced at the recent CRN Impact Awards Gala Dinner on the 6th of April, 2018. We just wanted to take this opportunity to congratulate our partners who made it as finalists and winners at this year's awards. 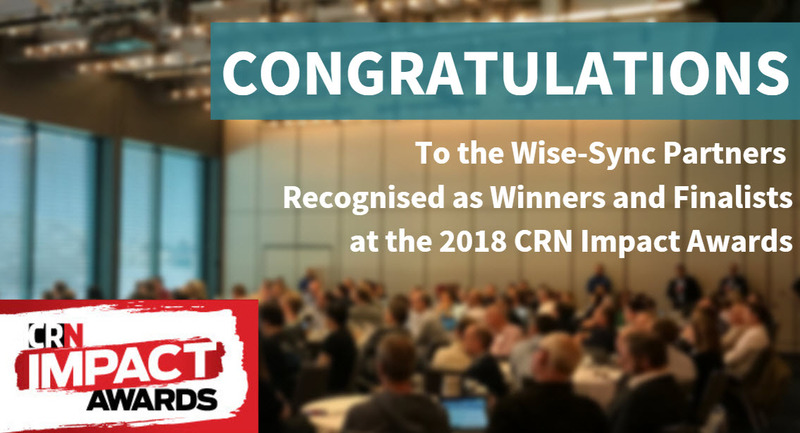 On behalf of all of the Wise-Sync Team, a special congratulations to the following partners who successfully made it as winners and finalists at this year's CRN Impact Awards 2018. For a complete list of winners at the CRN Impact Awards visit the CRN website. Wise-Sync and Wise-Pay are cloud-based applications that deliver the future of accounting to partners embracing change in their business. By adapting their financial systems to maximise greater efficiencies, MSPs gain greater financial visibility and automation saving time, money and effort. If you'd like to be just like our partners and automate your sync and pay processes, click here.